In just the past few years, interest in public health careers has soared. Public health degrees are more popular than ever—but what opportunities are out there once you’ve earned that MPH? And do you have to have to have a degree in public health to break into this field? 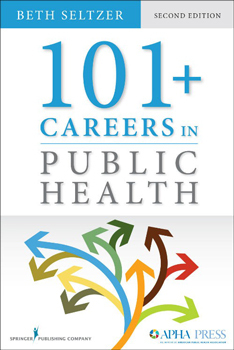 This updated and revised second edition of 101+ Careers in Public Health provides an extensive overview of the numerous and diverse career options available and the many different roads to achieving them. Download a sample chapter now! © 2016 Springer Publishing Company. All rights reserved.